This guide contains a full list of resources organized by name. See popular resources by category below: Core, Electronic Books, Catalogs, Clinical and Evidence Based, Methods and Protocols, Images and Videos, and Drug Information. Consists of the latest, up-to-date full-text of all reviews and protocols prepared by the Cochrane Collaboration, an international review group dedicated to preparing and maintaining evidenced-based materials on clinical topics. NOTE to Nursing Students: This version has the videos but not the assessment piece you are required to have. A video series to help master the key concepts of pharmacology. It covers all major drug classes and include: mechanism of action, key pharmacokinetics, major therapeutic uses, and common and serious adverse effects. It incorporates relevant physiology, pathophysiology and biochemistry. 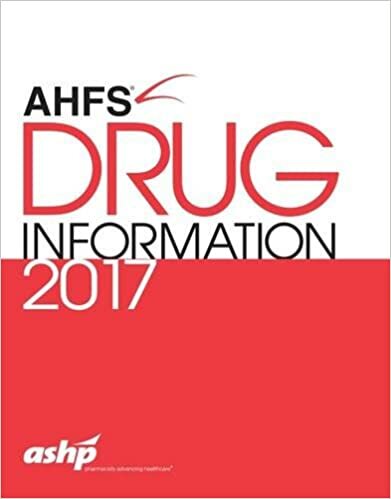 Free from the National Library of Medicine - provides a portal to current drug information for over 15,000 drugs from NLM and other government sources. Official information about FDA approved drugs and therapeutic biological products. Fully understand the toxicological effects of prescription and OTC drugs on pregnant women and breastfed children. PsychiatryOnline Books & Journals Description of this database. is a collection of standard research methods in the biosciences. They include: step-by-step protocols with annotations that alert you to special considerations,tips, and optional procedures; alternate and support protocols to accommodate different equipment and desired results; materials lists for each protocol; detailed recipes for reagents, solutions, and culture media; expert commentaries with troubleshooting instructions, and planning considerations; tables and figures to clarify complex procedures; and appendices filled with useful reference material. The protocols are browsable by Table of contents or keyword searchable with stemming (truncation) and a subject thesaurus. a monthly peer-reviewed scientific journal covering new scientific techniques. an online journal publishing high-quality, citable, peer-reviewed protocols from the leading laboratories in all fields of biological and biomedical science. Experiments is a new research solution developed by Springer Nature to connect researchers with the most relevant and important protocols and methods to support their research projects. We are bringing together the largest available collection of protocols and methods proven to create results, with content from: Nature Methods, Nature Protocols, SpringerProtocols and Protocols Exchange. First time users - Register here. Use your UTMB email address. Review for USMLE (step 1, 2, 3); PANCE/PANRE; Medical Subject Reviews, and Medical Certification. Click for Quick Guide. The Texas Digital Library (TDL) provides a digital infrastructure for the scholarly activities of Texas universities. This link goes to UTMB's repository on TDL. Updated daily. It is a customized for local access to the union catalog of materials held by OCLC libraries. The world's most comprehensive bibliography. Includes information on the holdings of the world's libraries. Over 43 million records, in over 400 languages, that contain holdings information, and other information vital to collection development, cataloging, authority control, and retrospective conversion services. Uses the Library of Congress Subject Headings as its Thesaurus. Many records in the web version include images and tables. Updated daily. It is the union catalog of materials held by OCLC libraries. The world's most comprehensive bibliography. Includes information on the holdings of the world's libraries. Over 43 million records, in over 400 languages, that contain holdings information, and other information vital to collection development, cataloging, authority control, and retrospective conversion services. Uses the Library of Congress Subject Headings as its Thesaurus. Many records in the web version include images and tables.